As part of recently redecorating my home office, I decided to build myself a set of custom bookshelves. I had the idea to make them in the shape of my initials (“JL”) because they would be symmetrical. I drew up some basic plans and went to work in my garage. They are made out of 3/4″ Birch plywood and are faced with 3/4″ trim. I painted the shelves orange because I love orange and thought they would really “pop” in my office. I’m extremely happy with how they turned out. 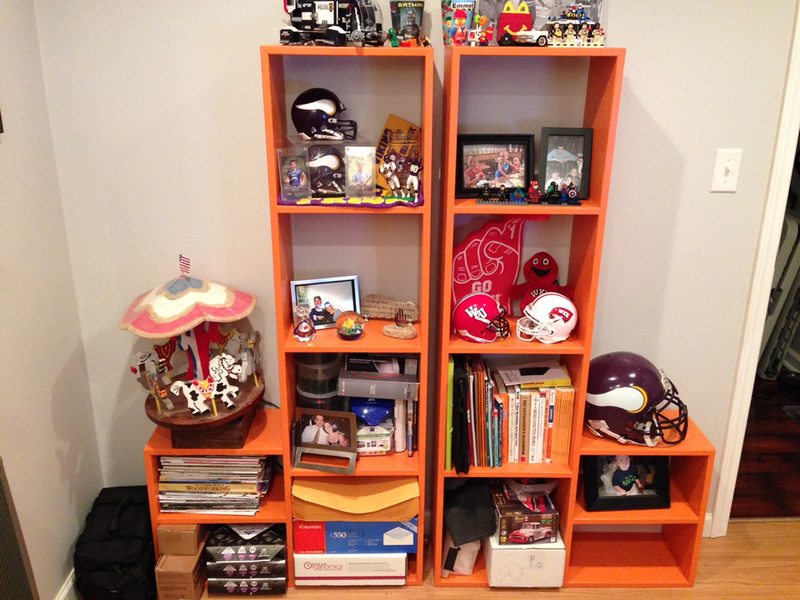 These shelves were eventually repurposed for my sons into E and C shelves.